Romance the night away with this stunning work of art. Beautiful and delicate yet with such style and panache that your recipient will indeed love it. 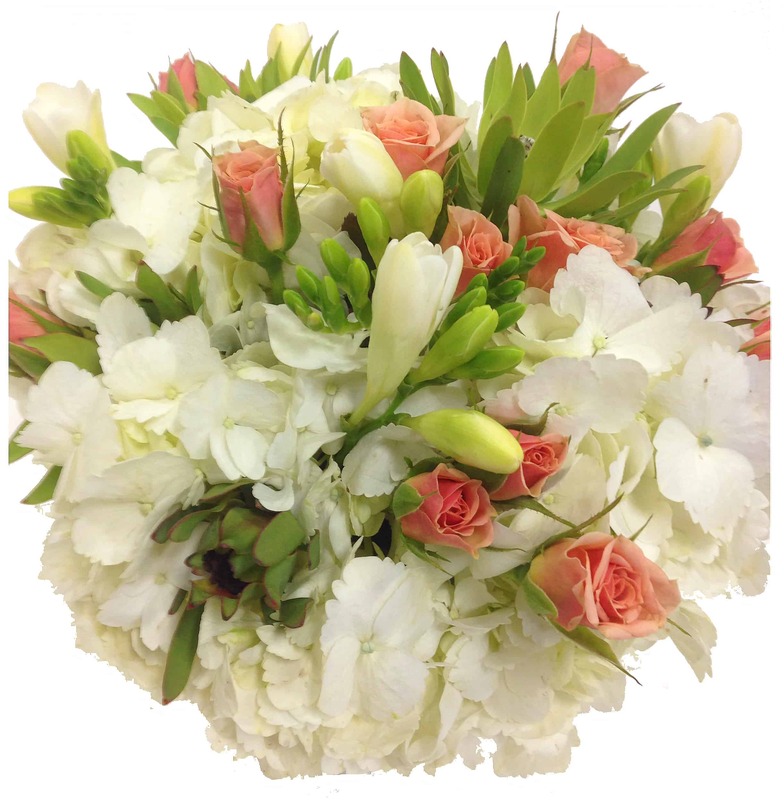 This pink and white masterpiece features Roses, Hydrangea, Freesia, Protea and other surprises. It would make a lovely centerpiece for your dining tables at a wedding or simply spruce up your bathroom with a little heavenly scent! You can celebrate any occasion or simply send that special someone a little hint that you are thinking of them with love!